Need a custom size? FoldedColor understands the importance of custom packaging. 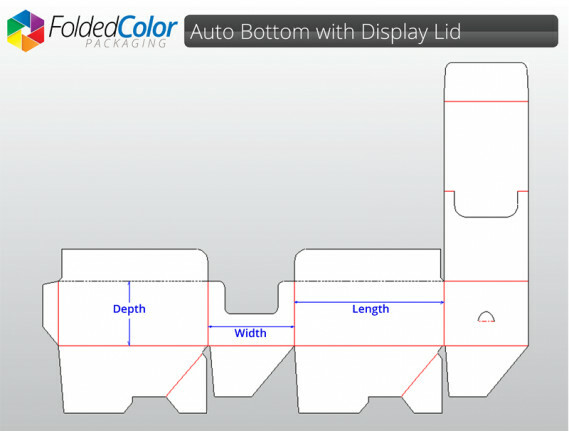 Our Auto Bottom with Display Lid, or Counter Display, can be sized to fit your product with your specifications. This style is a perfect option for machine filling or for filling by hand. The top tuck closes to the front. 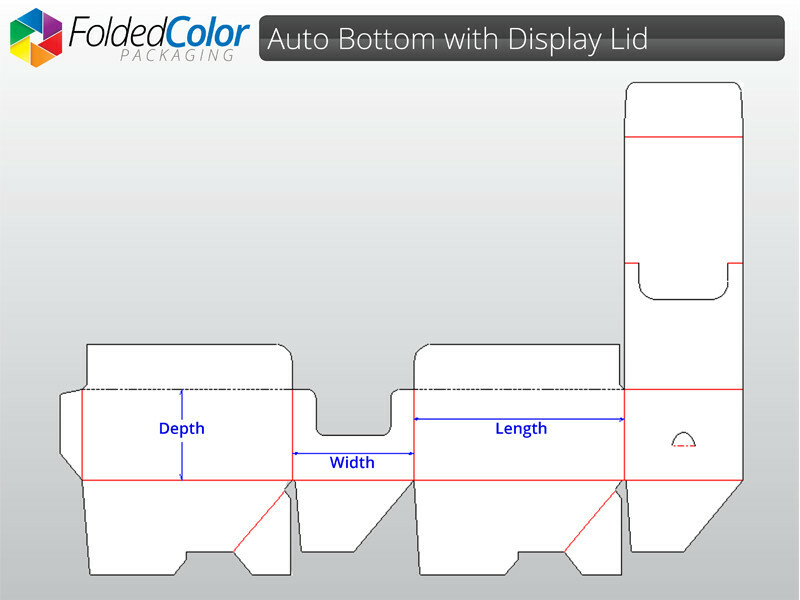 The top of the box folds to add a display header when set on a counter. The bottom folds automatically for easier assembly. Your packaging does so much more than just hold and protect your product; it makes consumers aware of your company and brand. Creating a look that is custom fit and tailored to your specifications is essential for your brand’s shelf appeal.